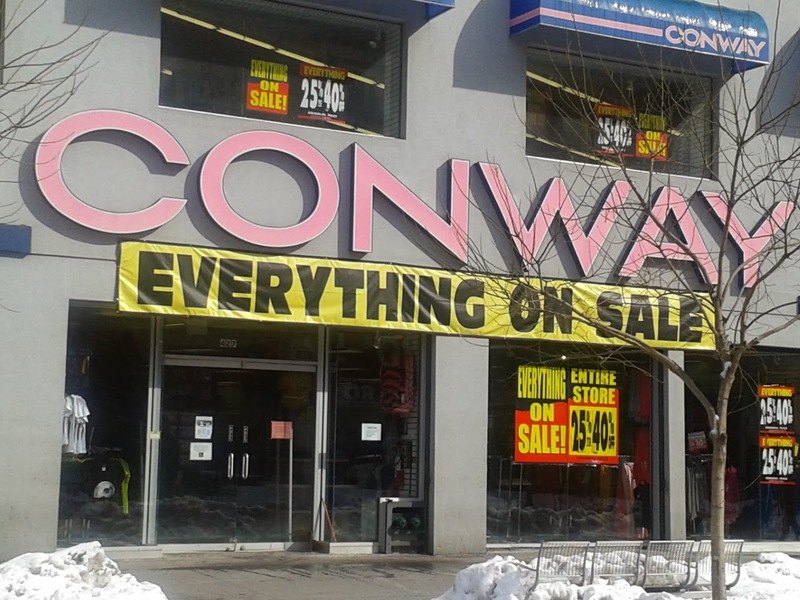 Who doesn't love beauty swag? Well, here's your chance to win a deluxe beauty box from Cocotique, an expertly curated monthly beauty box subscription service for women of color. 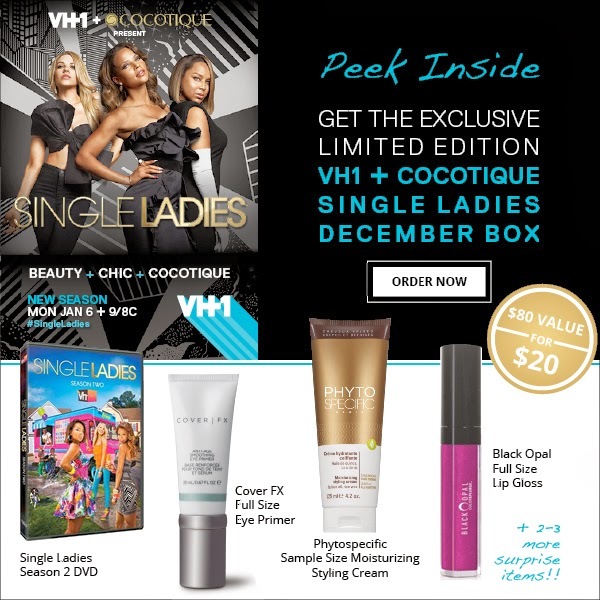 The limited-edition VH1 + Cocotique Single Ladies December Box contains a Single Ladies Season 2 DVD, a full size Cover RX Eye Primer and a full size Black Opal lip gloss. 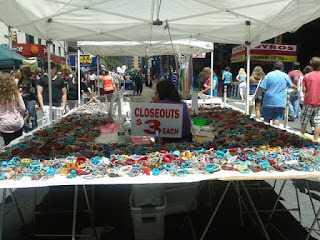 That's an $80 value, for just $20. And one lucky Everything She Wants reader will get the beauty box for free (see details below). By the way, Season 3 of Single Ladies kicks off on VH1 on Monday, January 6. We can't wait! Cocotique finds the best beauty and lifestyle products targeting your unique needs and desires and ships them to your door each month. Founder and CEO, Dana Hill, created Cocotique to simplify the search for new products and save you time and money. Each month, for $20 plus free shipping, you will receive a box with 5-6 expertly curated beauty and lifestyle samples delivered to your door. Your Cocotique Box will include a variety of samples from skin care, hair care, fragrance, nail and lifestyle companies. One subscriber even gets a Bonus Cocotique Box that includes a gift certificate for a collection of full size beauty products, clothing, jewelry or other premium items. 2. Like Cocotique on Facebook ; and follow them on Twitter @LoveCocotique. 3. Comment with your first name and age, and tell me why you want the VH1 + Cocotique Single Ladies December Box. Kathy 50 I would love to win this because I haven't seen the 2nd Season of Single Ladies and I just love beauty products and trying new products is a lot of fun! Dee, 38. This gift set is cool, particularly because I like trying out different cosmetics to see what works for me.